When it comes to carbs and cheese, I’m in heaven. Seriously. I was just telling my aunt and cousin over the weekend that I can walk by desserts and avoid eating them (if I’ve already eaten some), but put some pasta, breads, taters and any type of cheese or cream sauce with it? I become a vulture. I love these little guys though, because they’re so easy to make, and super yummy. When I made these for my family, they came through the door and I pointed them in that direction. Next thing I knew, all of those suckers were gone. First, unroll refrigerated crescent roll dough. Then, cut a piece of string mozzarella cheese in half, and place it at the base of the dough. Roll it up, pinching the sides to seal. Place in a 9×13 inch baking dish. Here, I only made one batch, but you can easily squeeze two batches of these in the dish together. Brush with olive oil and Italian seasoning. 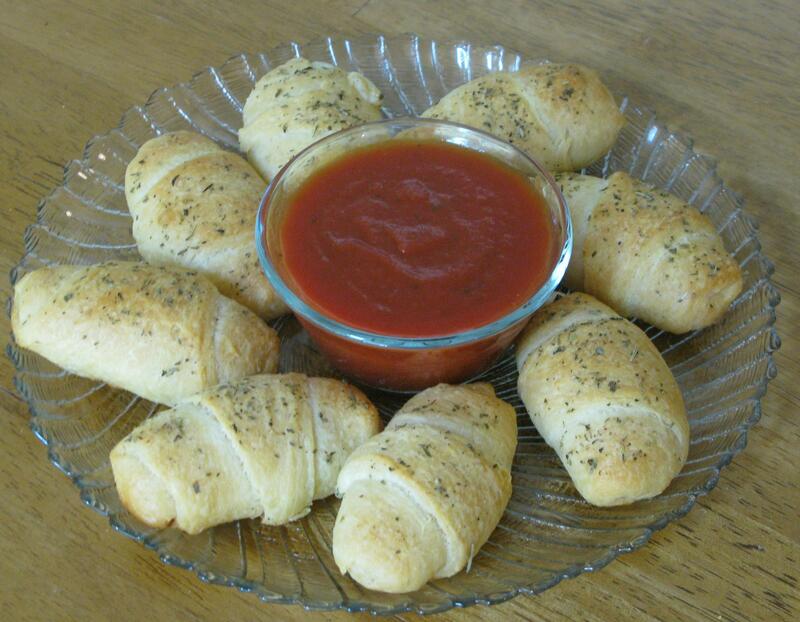 After they’ve baked, microwave some pizza or marinara sauce for dipping. Enjoy every little (or big) bite. We certainly did. And the great thing about these is that they could be served as an appetizer, or even as a meal. They’re very filling! Preheat oven to 350 degrees. Roll out crescent roll into individual triangles. 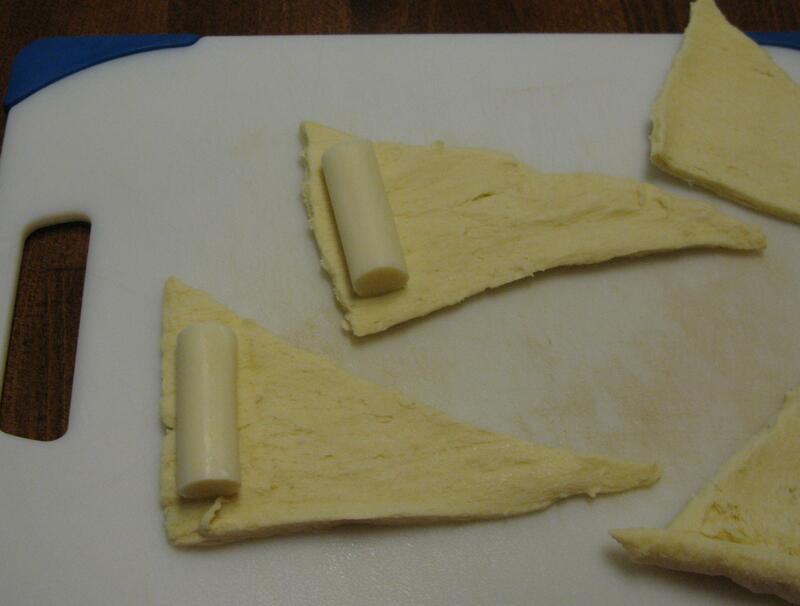 Place string cheese at base of dough, roll up, pinching sides so the dough completely covers the cheese. Place in greased 9×13 inch baking dish. Combine olive oil and seasoning, stir together. 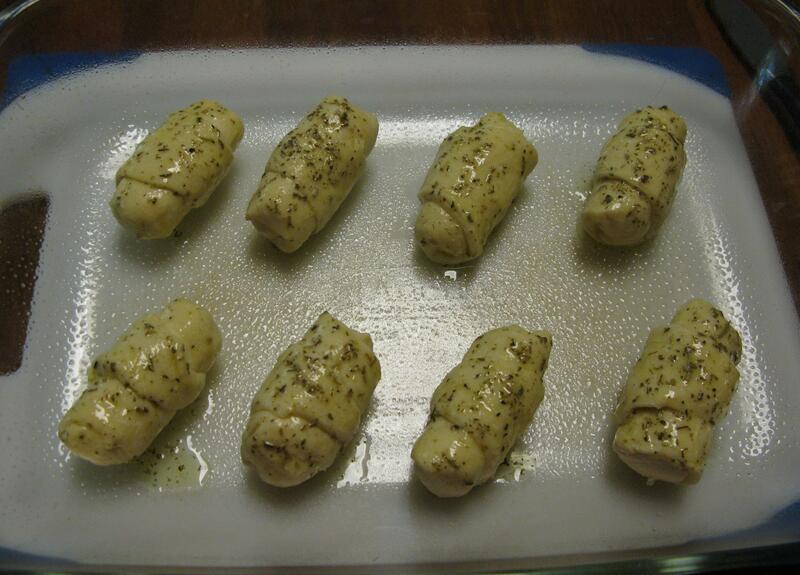 Using a basting brush, distribute over each crescent roll. Bake for 15-17 minutes, or until tops are a light golden brown. Serve with warm dipping sauce. Want to add some pepperoni? No problem! 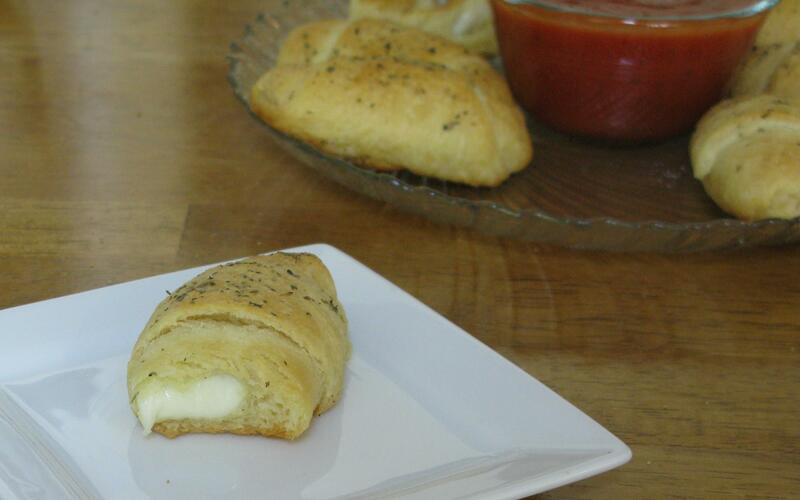 Just add a couple slices of pepperoni under the mozzarella and roll up.